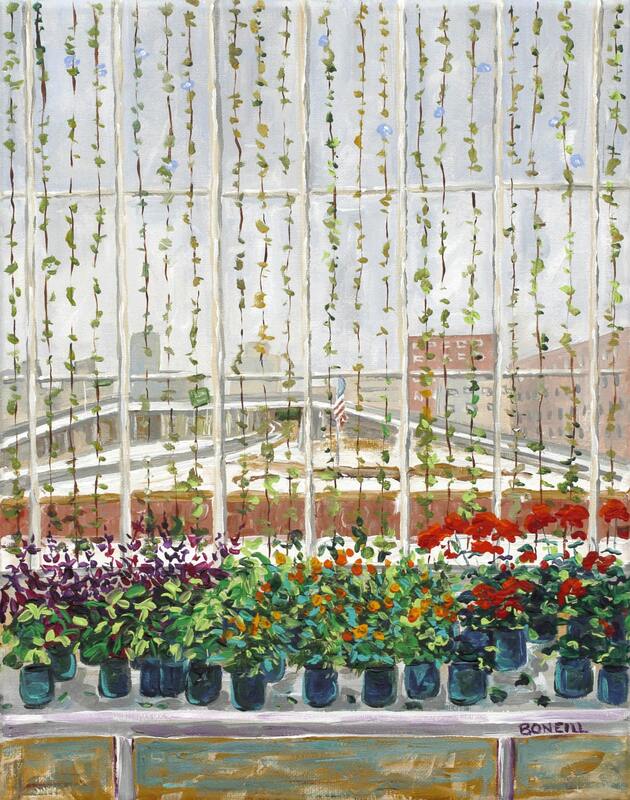 This print is inspired by the green house on top of Grand Rapids Downtown Market. Even on the coldest winter day you can sit here and sip coffee or soup while enjoying warm humid garden air. Red Geraniums and blue climbing Morning Glories promise you hope of spring against a snowy city back drop.